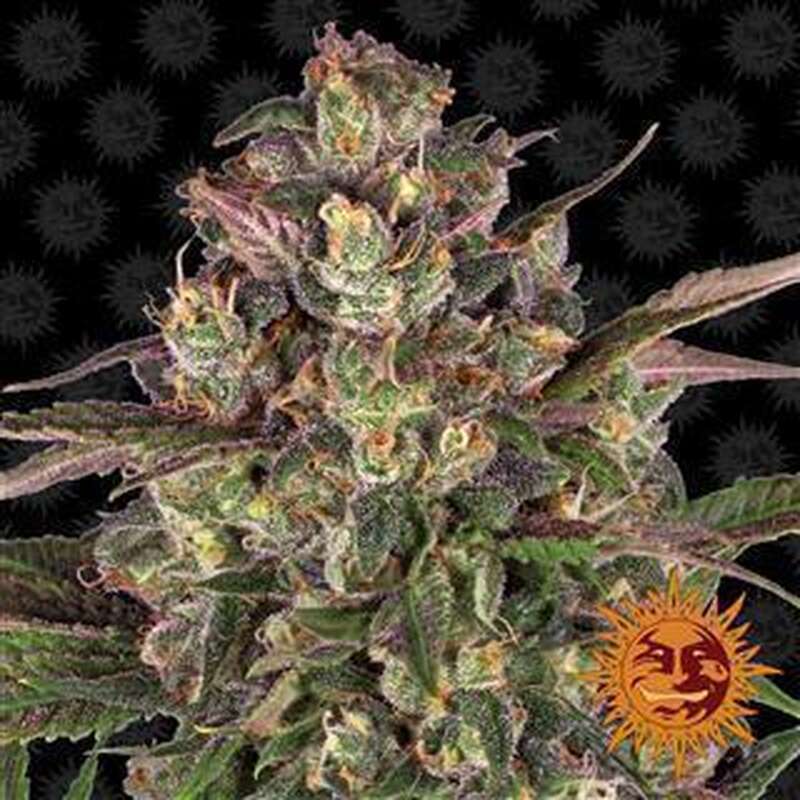 Barney's Farm's Peyote Critical Marijuana Seeds come to Seeds66, but are very limited! They are the result of crossing two strains, Peyote Purple and Critical Kush, which are well known and appreciated by breeders - a gene that promises incredible flavor and very high yields. Peyote Critical is an 80% indica dominant variety, easy to grow and suitable for a variety of growing media. It is a plant with high resistance to mold and pests, making it ideal for growing in places where the climate is rougher. The structure of Peyote Critical has Indica properties, with strong and robust growth. With medium size, this plant can grow up to 130 cm indoors, making it ideal for use in SoG cultures. At the end of flowering, this plant displays its wonderful colors, inherited from Mother Peyote, with very dark foliage and buds between purple and dark red. Peyote Critical is a highly productive variety that produces up to 650 grams of purple fruits per square meter indoors with artificial light in just 55 to 60 days. On the other hand, when bred outdoors in the sun, your production can reach an incredible 1,000 grams per plant, about three to four weeks after the end of summer. The effect of Peyote Critical is strong and mostly relaxing and long-lasting. In addition, it is a medical strain that is mainly used to relieve pain and reduce stress. In terms of the flavor and taste of Peyote Critical, it is described by all who have tried it as an authentic miracle. Wood and sweet coffee stand out in its aroma, which, when inhaled, turn into an intense taste of damp earth that sets it apart from all others. Flowering time: 55-60 days in the house. 3 or 4 weeks after the end of the summer outdoors.